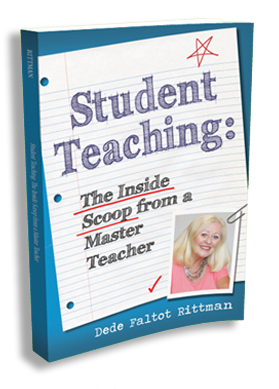 After thirty-seven years of teaching, Dede Rittman has something to say to those entering the profession. Students do judge you by your appearance—and appearance includes everything from your perfume to how much “bling” is your thing. Students come to school with many problems, and the role of “teacher” requires more than just knowing subject matter. Students will try harder when they believe the teacher “likes” them. Show students that you are a pleasant person, but remember that you are the teacher, not their friend. Students share qualities of a “good” and a “not so good” teacher with Dede, and she shares their list with you – a must-see for new teachers! Students have successes and failures and real feelings. To be a good teacher, remember that you are not teaching a subject, you are teaching human beings. Please help Dede to help children. Dede’s new book, Grady Gets Glasses, features a rabbit named Grady who wears glasses, and explains concepts to small children like farsighted and nearsighted, as well as making them feel “special”, because they wear glasses just like Grady. Dede is trying to raise the money to have a soft and plush Grady toy made, so that kids can have their special friend Grady with them! Manufacturers, materials, trademarks, and lawyer fees total $50,000 for this dream of helping children. Dede Faltot Rittman graduated from Edinboro University in 1974 with a bachelor’s degree in secondary English and attended the University of Pittsburgh for post-graduate credits. After two years at Penn Hills, she began teaching English and Theater in the North Allegheny School District, a position she held for thirty-five years. For thirty-two of those years, Dede worked with underachieving students and those with special needs. She retired in 2011.